"With the news that pills are already disappearing from drugstore shelves, advocates for women's health and the Responsible Parenthood and Reproductive Health (RPRH) Law (RA 10354) or RH Law are putting the pressure on the Supreme Court (SC) to lift the temporary restraining order (TRO) that is restricting the procurement and distribution of female contraceptives in the country," reports GMA News Online. 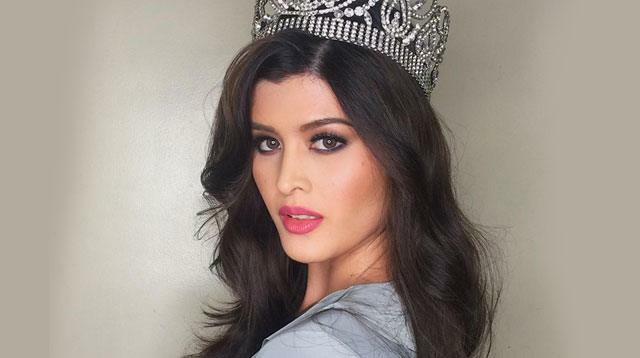 Binibining Pilipinas International 2017 Mariel De Leon has added her voice to the protest against the TRO. On Wednesday, May 17, she posted a series of tweets about the issue. TRO on contraceptives. Birth control pills are slowly going away. What will you do when they're all gone? Let's take our bodies back. What about women with PCOS, acne, severe dysmenorrhea, irregular period, etc.? What about our freedom of choice when it comes to family planning? What about women's health? You're not "pro life" if you deprive women of something that's good for our health and our future. It may be recalled that in 2015, the Alliance for the Family Foundation Philippines filed a complaint with the SC which alleged that certain contraceptive implants allowed under the RH Law have "abortifacient side effects." Thus, the SC issued the TRO that prevents the government from procuring, selling, distributing, dispensing, administering, advertising, and promoting implants. The SC ruling also stopped the Food and Drug Administration from granting pending applications for reproductive products, including contraceptives. Despite the clamor of RH advocates, the TRO is still being enforced by the SC. Meanwhile, the licenses issued by the Food and Drug Administration (FDA) for contraceptives have been expiring one after the other. As such, Commission on Population (PopCom) executive director Juan Perez III had warned, "Only four of the 48 contraceptive products currently available would remain in the market before the end of 2018." Help gather 1 million signatures! Sign this petition making an appeal to the Supreme Court to lift its TRO. Once you have signed, pass on to at least 10 of your friends when you sign so you can help spread the word. Use the hashtag #DontTakeAwayMyBirthControl when you post this petition or any articles related to the Supreme Court TRO. Send a letter to the Supreme Court and tell them how this TRO is affecting your life. Email them at pio@sc.judiciary.gov.ph.